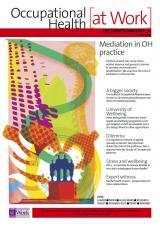 Workplace mediation: a role for occupational health? Part 5: what makes a good job? Is occupational medicine an ageing profession in decline? Is occupational medicine an ageing profession in decline? A response from the Faculty of Occupational Medicine.